T here was a time the idea of putting things like broccoli, chicken, eggs, or really any green stuff that weren't a pepper on pizza drew mortified stares and triggered gag reflexes from pepperoni-indoctrinated pizza lovers all over the United States. The very idea was blasphemous at best, pretentious at worst. But in 1980, with California cuisine firmly establishing itself as a food trend, Bay Area chefs Alice Waters of famed Chez Panisse and Ed LaDou of Prego seemingly simultaneously began turning traditional wood-fired pizzas into acts of delicious culinary heresy. A little goat cheese here. Some duck sausage there. Truffles galore. Madness! These days, experimental, fancy, "cheffy" approaches to pizza are everywhere: even slice shops generally have something peculiar under the lamp alongside old standbys. But Waters and LaDou’s creations were eye-popping in their audacity -- single-serving pizzas made using traditional Italian methods and topped with fresh, thoughtfully curated ingredients that would seemingly make more sense on a plate than a pie. “I feel like I cringe a little bit at the term,” says chef Thomas McNaughton with a laugh. The James Beard-nominated chef opened San Francisco eatery Flour + Water nine years ago, gaining a rabid following for its inspired interpretations on classic pastas and wood-fired pizzas with such ingredients as bone marrow and rapini. The chef is currently planning on an expansion into a dedicated pizzeria and gearing up to release a pizza cookbook. Flour + Water’s a standout in a boom of California-style pizza, which takes cues from traditional Neapolitan pizza, but ditches the rigid guidelines in place to call it so. These days, the style can be found everywhere from upscale restaurants to hole-in-the-wall slice shops and even mall restaurants. But its expansion, like the style itself, is rooted in an incredible balancing act between high and lowbrow. While both Waters and LaDou were experimenting with their pies, it was LaDou who took the concept and ran with it, seemingly by accident. According to legend (and as reported in the Los Angeles Times in its 2008 obituary for the late chef), LaDou had gained a reputation for experimenting with toppings like eggplant and clams. One night, he served a pie topped with ricotta, red peppers, mustard, and pate to a customer who was so blown away that he immediately offered him a job as pizza chef at his soon-to-open Los Angeles restaurant. LaDou accepted. That restaurateur was Wolfgang Puck. And in 1982, Spago, would become synonymous with Beverly Hills opulence, a fine dining den of celebrities and executives who flocked for an exclusive taste of dishes like smoked salmon pizza served with sides of caviar. It grabbed headlines and became a symbol of elite dining. LaDou's star rose. There were, of course, copycats, but for the most part, the California pizza trend was seen as snobby, unattainable. But in 1985, that all changed, and once again LaDou was front and center. 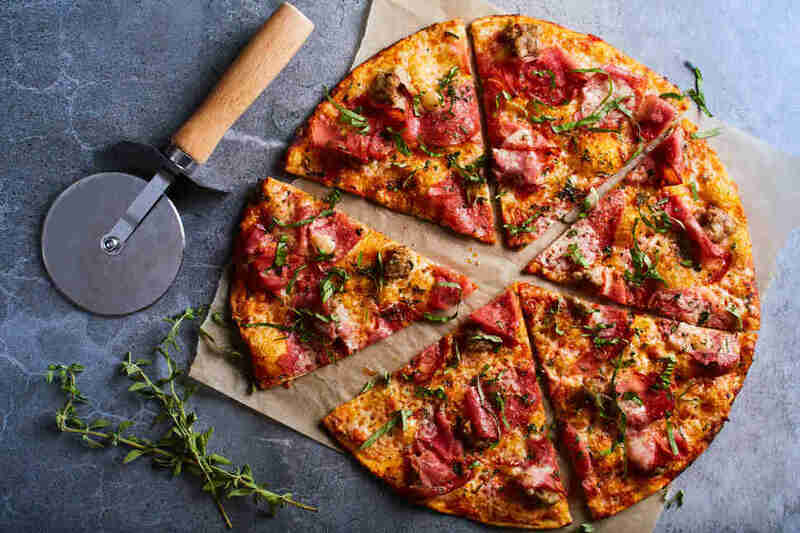 When attorneys Rick Rosenfield and Larry Flax were set to open their first California Pizza Kitchen in 1985, they ran into a massive hurdle: they lost their chef. 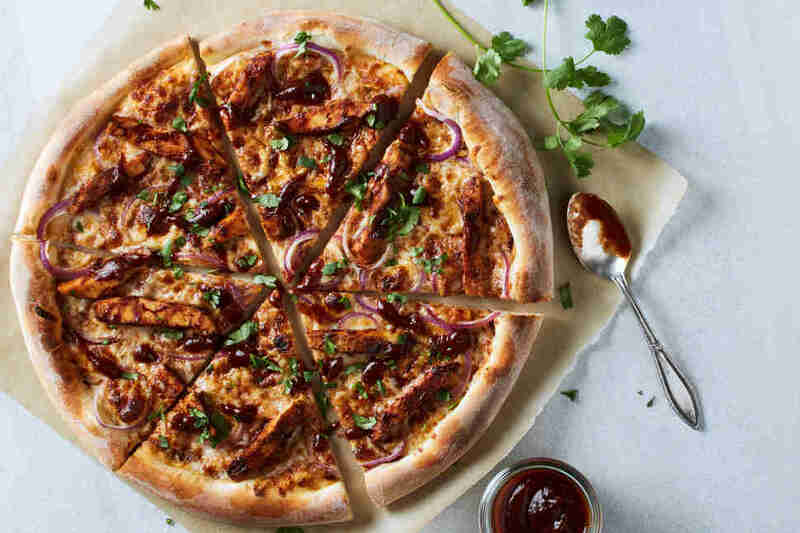 Somehow, they coaxed LaDou out of the star-studded Spago kitchen to design their menu, which included familiar combinations but also something seemingly unheard of: barbecue chicken pizza, with BBQ sauce instead of marinara. Suddenly, California-style pizza was available to the masses. As pizzerias in major California cities became emboldened by the new trend of putting fresh, outside-the-box ingredients on pies, CPK hit the road, establishing itself as the unofficial ambassador of California-style pizza, dominating malls and cities across the country and bringing with them Thai chicken pizza with peanut sauce and roasted garlic chicken pies to an America that was only just waking up to the ideas of fresh food, global cuisine, and culinary fusion. With that groundwork laid, fresh and unexpected ingredients now seem to be the norm, though there's still a contingent of people who immediately associate the words "California-style" with bougie, health-obsessed, and expensive food, despite the efforts of CPK and other shops to make it more accessible (and often gloriously indulgent). Some outright avoid the designation. Still, even now, nearly 40 years after Waters and LaDou flipped the script on what is acceptable to put on pizza, there are those among us who are simply disgusted by the thought of seemingly exotic ingredient on their pies. 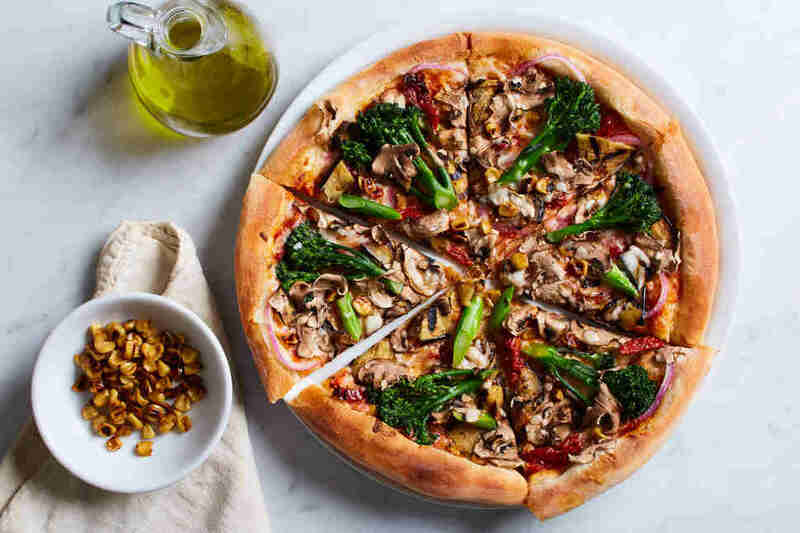 Now, California-style pizza -- whether a restaurant chooses to use the term or not -- sits comfortably among other pizza styles, often in the same case. And lucky for naysayers, its prevalence hasn't booted traditional styles out of their spots under the heat lamps... though these days, don't be surprised if that pepperoni slice is topped with an artisan meat. “Numerous forms of pizza coexist very comfortably with other forms," says Carol Helstosky, author of PIzza: A Global History. "You can have the pure, traditional, and you can also have these wildly experimental forms too. What’s really interesting is that one doesn’t really put the other one out of business. Both can coexist comfortably." 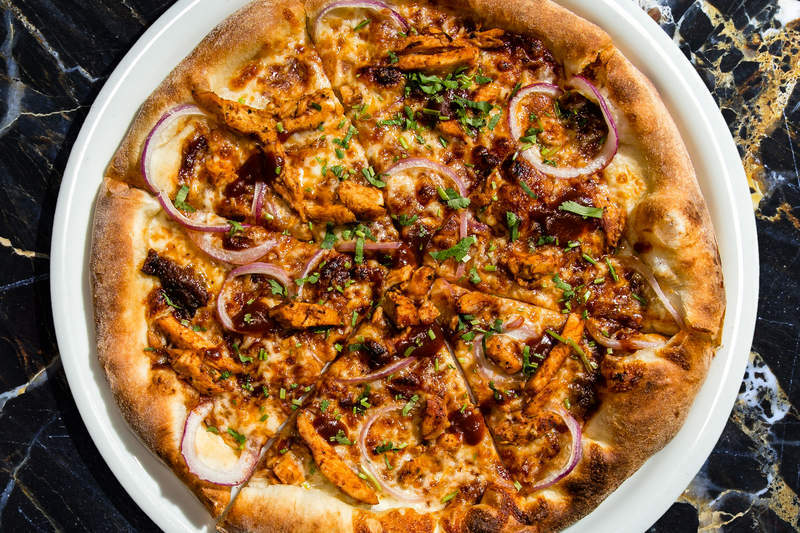 Senior editor Andy Kryza got his first taste of Thai chicken pizza at the behest of his 10th-grade homecoming date, and he’s never looked back. Follow him to slices -- of life! -- @apkryza.